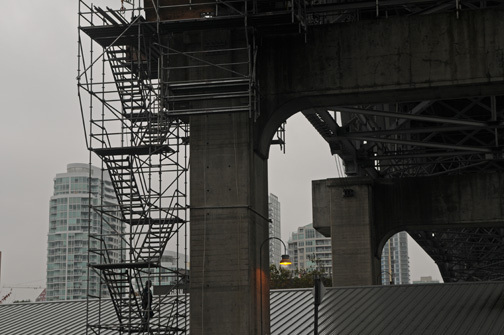 This photograph, showing a worker descending a scaffolding staircase from the Granville Street Bridge to Granville Island in Vancouver, was taken in the fall of 2013. As a photographer you always hope that your images have an immediate visual impact for viewers but for photographers who work in a documentary mode you also hope that your photographs have a historical value. I enjoy looking at the photos of Curt Lang or Fred Herzog and observing the differences in the locations they photographed in the 1950′s or 60′s and seeing how they’ve changed. I wonder if a viewer looks at this Granville Island view 30 years from now and compares it with this photograph what will be the differences. Likely the bridge will look the same but I’m sure that at the very least the background skyline will be more crowded. Will the same roofline be there r will another building block this view. We’re lucky to have images held in a variety of archives (the BC Archives in Victoria, the Vancouver Public Library’s holdings etc.) although they are general archives holding documents, objects as well as photographs. It is too bad there is no one British Columbia Photographic Archive or BC Photography Archive, whatever you’d call it, where one could view all the images held in collections. 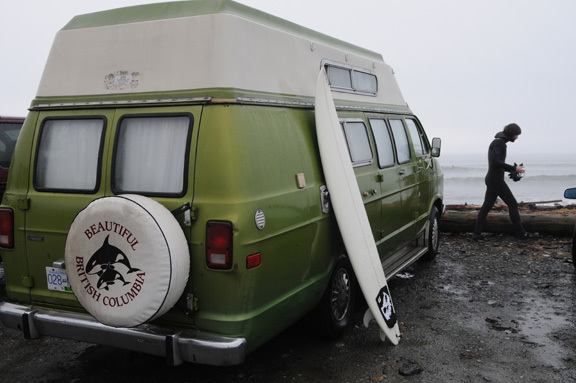 A surfer walks past a van and board at Jordan River, British Columbia on Vancouver Island. 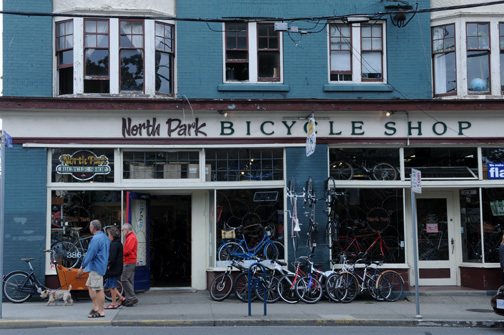 The North Park Bicycle Shop is a community fixture along Quadra Street in Victoria, in the North Park neighbourhood. The building always looks, to me, wonderfully scruffy and invitingly homely. 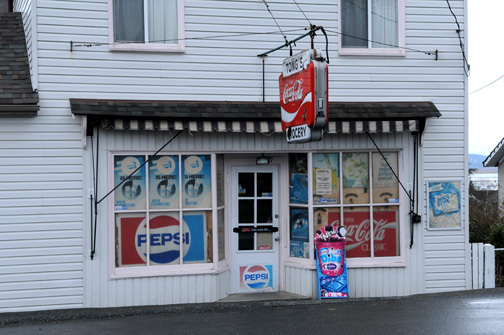 A traditional neighbourhood grocery store in Nanaimo, they are getting harder and harder to find, replaced by 7-11s and Mac’s style stores. I was at Coopers Cove last week. 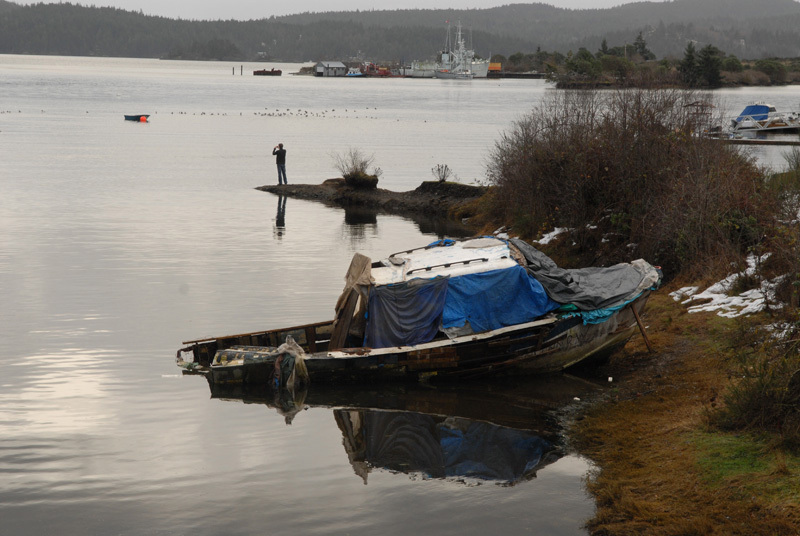 The derelict boat in long gone although, for now at least, the former naval ship seen in the background is still anchored in the cove. It’s a reminder how photographs, while they must stand on their own as visual images, also serve as historical records, a document of time passing. This was one of the first group of images I took that have become part of the Salt Water & Rain project, photographs of Vancouver Island and coastal British Columbia. 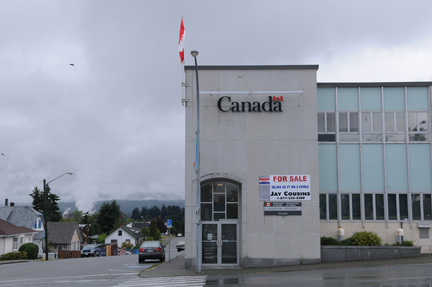 A photographic archive of British Columbia and one of a series of inter-linked projects on the Pacific Northwest. A couple of weeks off which has been good for some travel, Kamloops, Maple Ridge, Vancouver and Portland, and now I’ve been doing some printing. 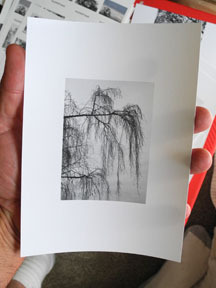 I know everyone seems to be going for big photographs but I’m enjoying making small prints.